Nestled on the beach, this Rarotonga hotel is just steps from Muri Lagoon and Muri Beach. Koromiri and Te Vara Nui Village are also within 10 minutes. 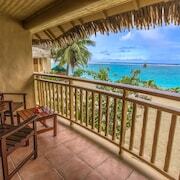 Nestled on the beach, this Rarotonga resort is just steps from Muri Lagoon and Muri Beach. Koromiri and Te Vara Nui Village are also within 5 minutes. 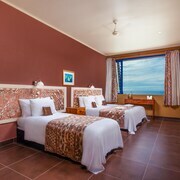 Situated on the waterfront, this motel is steps from Muri Lagoon and Muri Beach. Te Vara Nui Village and Koromiri are also within 10 minutes. Beautiful property, clean villas, nice pool area. Beds were very comfortable and the sitting areas were very nice! Absolutely loved our stay here. The villas are modern and clean. Only 6 in the complex so does not get overcrowded. Daily breakfasts delivered to our villa were superb - fresh fruit, muesli and even choc croissants!!! Beach few steps away, lovely pool, and spa. Washing machine and dryer if you need it, night markets short walk away. Poko and Nick were fabulous hosts. Poko even allowed us a late checkout which was greatly appreciated. Our stay was not long enough and cannot wait to return. 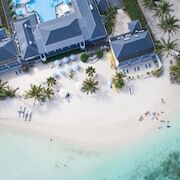 Where to find Rarotonga hotels near an airport? How can I find hotels in different Rarotonga neighborhoods? Where can I find hotels in Rarotonga that are near tourist attractions? 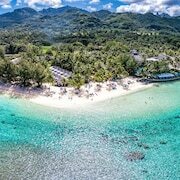 When the time comes to plan your Rarotonga dream holiday, rest assured, because there is plenty of first-rate hotel options in Rarotonga. Within our comprehensive booking section you can explore 20 short and long-stay options within a 6-mile (10-kilometer) distance of Rarotonga's downtown. If you are after a hotel that is only 2 miles (3 kilometers) from the center of Rarotonga, Sea Change Villas and Palm Grove would be perfect. Check out the Te Vakaroa Villas as well as the Crown Beach Resort & Spa. 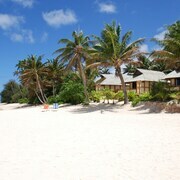 The Te Vakaroa Villas is positioned 3 miles (5 kilometers) away from the main part of Rarotonga. 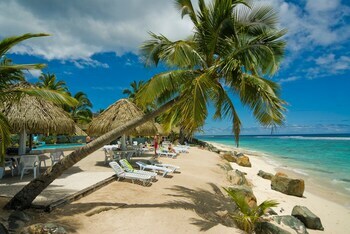 The Crown Beach Resort & Spa, is 4 miles (6 kilometers) away. 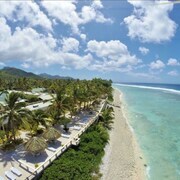 Other hotels are the Rarotonga Beach Bungalows and the Pacific Resort Rarotonga. 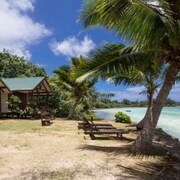 There are various accommodation options in Ngatangiia, , positioned 3 miles (5 kilometers) to the west of Rarotonga. The Royale Takitumu Villas and Muri Beach Club are among the Expedia-listed hotels here. Get your sporting fix by taking a visit to National Stadium, which is 3 miles (5 kilometers) to the southeast of Rarotonga. Book a hotel nearby to the action at the Crown Beach Resort & Spa or the Sunset Resort. If you are planning on flying via Rarotonga International Airport, you can stay at Crown Beach Resort & Spa, or Sunset Resort, both of which are conveniently close. What are the most popular Rarotonga hotels? Are there hotels in other cities near Rarotonga? 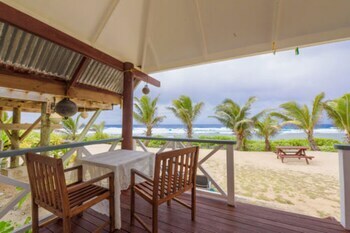 What other types of accommodations are available in Rarotonga? Explore Rarotonga with Expedia.ca’s Travel Guides to find the best flights, cars, holiday packages and more!